The International Floral Art book is a platform for the exchange of ideas and testing room for creativity and innovation in floristry. 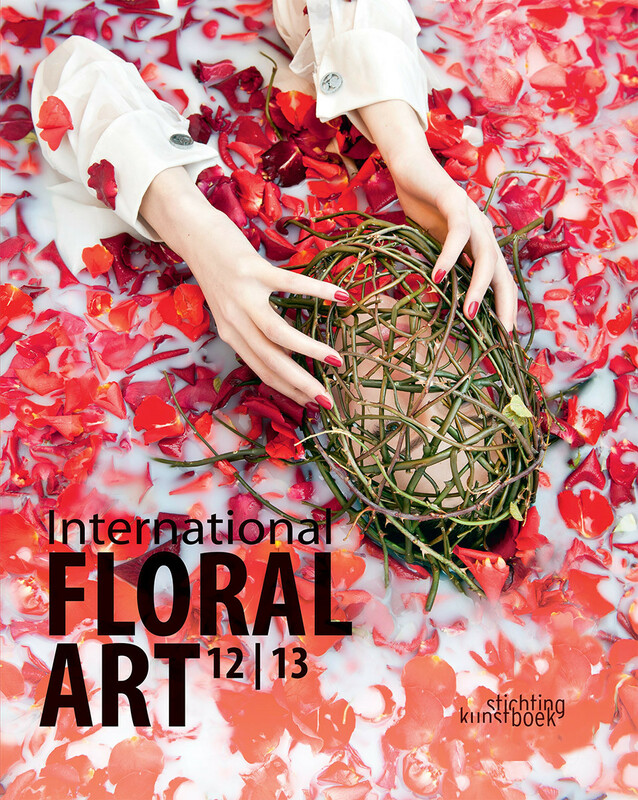 The 2012/13 edition showcases the talent, inventiveness and fresh ideas of the best florists from 32 countries, selected by a professional jury. The International Floral Art book displays the variety and rich potential in contemporary floristry – an invaluable and spending reference work. RAIN –floral collage, 16”x 22”, mixed techniques. 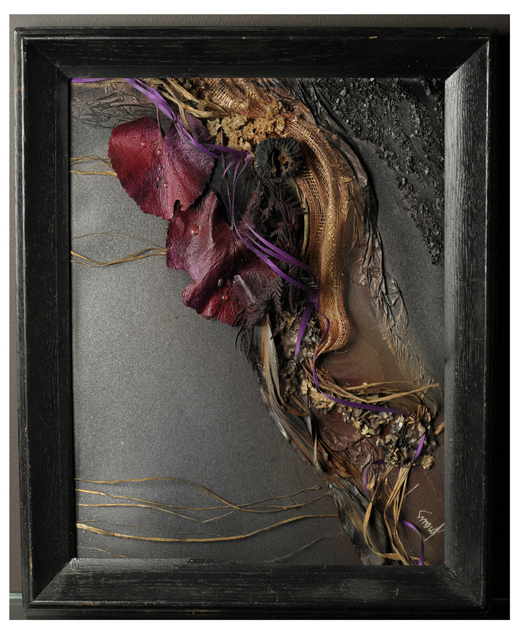 Materials: preserved and dried leaves, moss, nuts, raffia, ribbons, and tissue paper.